Wahhhh! Be still our snoozy, beating hearts because Pottery Barn Kids have just released a cot we’d happily assume the foetal position for indefinitely. Cutest cot on the block! 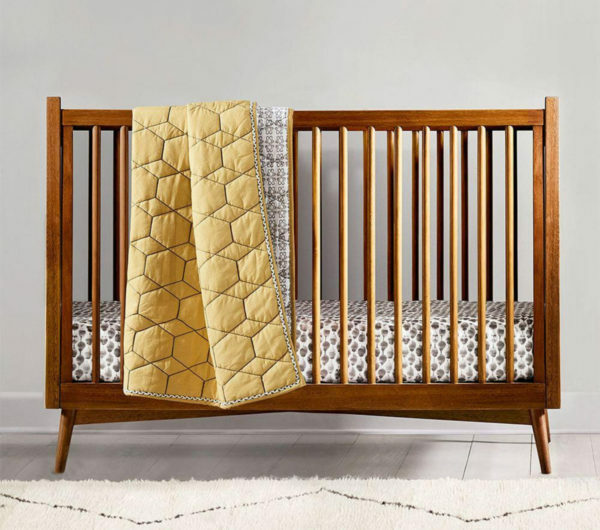 But seriously, for readers lucky enough to have a baby in their lives, Pottery Barn Kids have more than nailed the brief when it comes to covetable beds for tots. 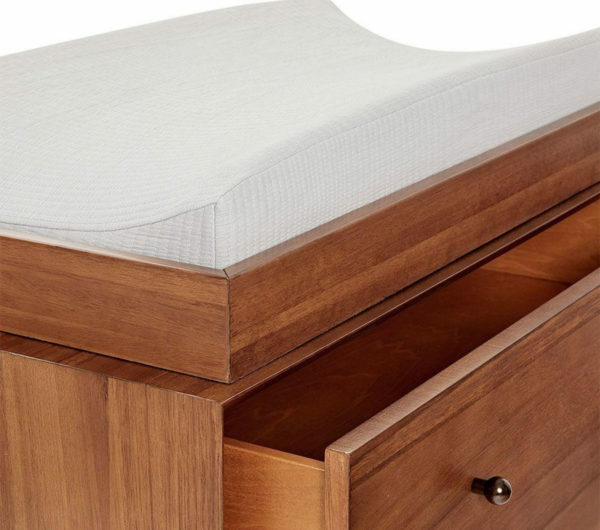 Hand-in-hand with stablemates West Elm (who you may/may not have spied on The Block of late) they’ve crafted the cutest cot-slash-toddler-bed on OR off the block. This brand new Mid-Century Nursery Collection combines craftsmanship with cosy chicness, bringing clean, comfy lines to very lucky babies’ rooms. It includes a cot, a kit to convert said cot to a toddler bed and a gorgeous change table/chest of drawers combo. 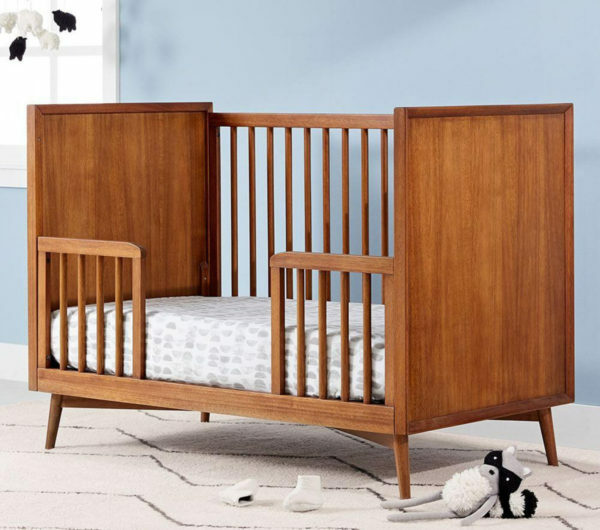 The west elm x pbk Mid-Century Convertible Cot (above) features two platform height options and can be converted into a cosy toddler bed with the matching conversion kit (sold separately and shown above). 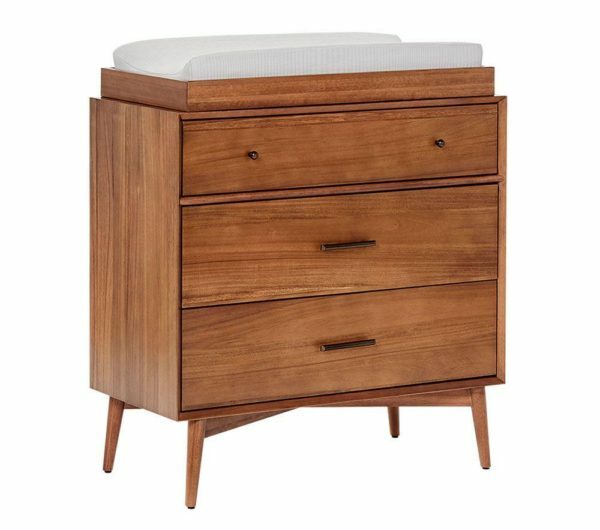 The west elm x pbk Mid-Century Dresser and Change Table Topper (below) has three roomy drawers for baby must-haves, plus a cleverly designed (and removable) topper that keeps the changing pad firmly in place. Every piece is this west elm x pbk collaboration is made in a Fair Trade Certified™ facility. Finishes are child-safe and water-based. Pricing is reasonable and reflects the premium quality and brilliant design features of these pieces. Be quick, because these are sure to sell out fast!